Beautiful actress/dancer/singer Yvonne De Carlo, circa the 1940’s, in a kodachrome photo. De Carlo, along with many other Old Hollywood stars, appears in the book Hollywood in Kodachrome, by David Wills. I love the rich depth of color of De Carlo’s hair and makeup in this photo. Stunning! Marilyn Monroe in a black cape, circa 1955, photographed by Milton Greene. 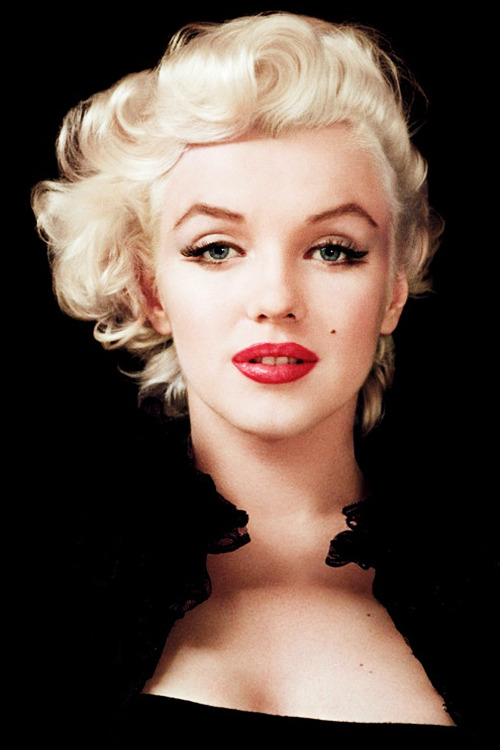 This may be one of my favorite picures of Marilyn. I love how her red lips are the only source of color in this photo. So beautiful! 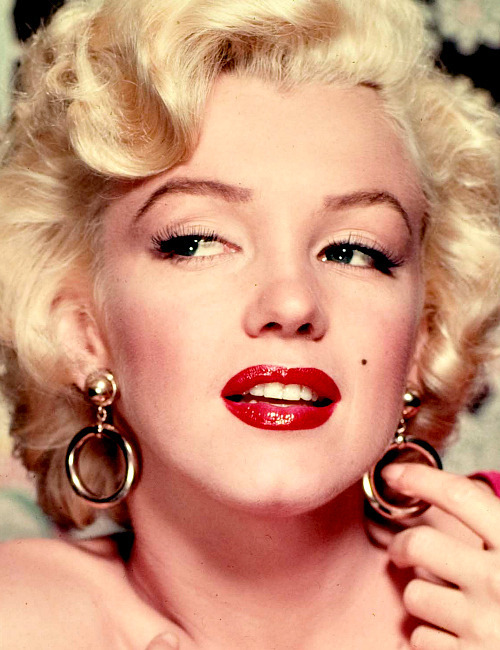 Marilyn Monroe with her trademark red lips and gold hoop earrings. In this photo there appears to be a little bit of pink lipstick in the center of her bottom lip. I wonder if this was intentional or just the way her lipstick photographed? Gene Tierney as a blonde! Gene Tierney as a blonde in the 1945 film A Bell for Adano. Tierney looks gorgeous as a brunette or as a blonde! Jayne Mansfield circa 1958. 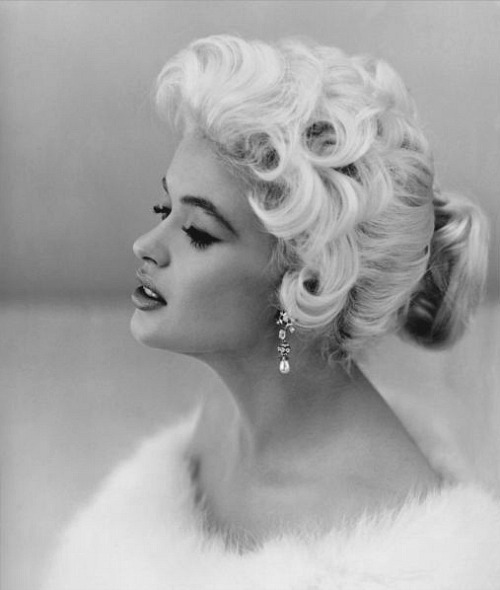 I don’t know how I feel about her hairstyle in this picture, but Mansfield sure has a gorgeous profile. Great nose, lips, cheekbones, and eyebrows!